Like everyone else, I read 1984 when I was in high school. Or at least I was supposed to read it. More likely, I just saw the movie. Since the book's publication in 1949, it has become a cultural touchstone for pretty much any commentary on the demise of society. The NSA is "Orwellian' as it records pretty much all of our online conversations and emails. Google is "Orwellian" as it tracks everything we do. Last week, CBS Sunday Morning did a story on Naypyidaw, the capital of Myanmar. Made of great empty streets and massive buildings, the correspondent referred to it as "Orwellian". This, of course, made no sense really, as Orwell's dystopian London was made up of run down and crowded tenements. But never mind, "Orwellian" gets your attention. Last week, I actually re-read (or seriously read for the first time), 1984 (or Nineteen Eighty-Four, as the title is actually written.) It carries a whole lot more weight today than it did for me at the age of 16. While most people equate the book with the ever-watching tele screens or the ominous presence of Big Brother, what I came to realize, reading the book, is that it is actually about history, or rather, the control of history. The narrative. 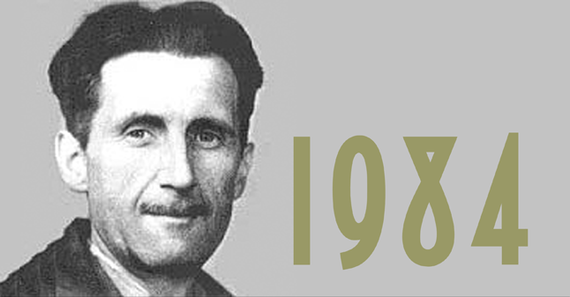 "He who controls the past controls the future," O'Brien tells Winston Smith. "And he who controls the present controls the past." 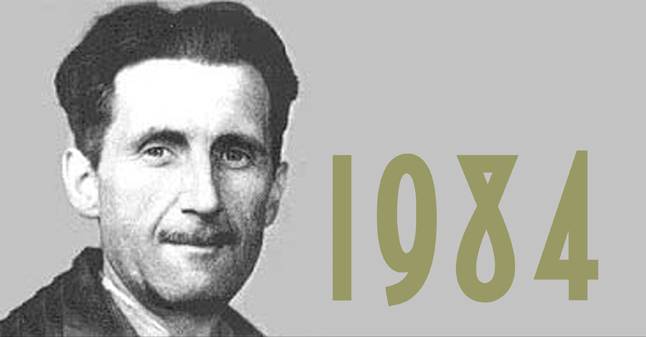 There, in a one line, is the real essence of Nineteen Eighty-four. It is about the power of historical narrative. History becomes the rationale for virtually every political or economic decision that is made, regardless of the impact. And the person who can "control" the past, decide what the "true history" was, controls the future. Last week, Benjamin Netanyahu announced to the world that Haj Amin al Husseini, the Grand Mufti of Jerusalem in the British Mandate was actually responsible for the holocaust. It was his idea to "burn the Jews," so Netanyahu stated, that gave Hitler (who apparently was only looking to expel them until the Mufti came along) the idea for the death camps and subsequent extermination. This is real bending of history to fit your narrative and your intent for the future. If, indeed, it was the Palestinians who had actually been behind the holocaust, then it seems only fitting that you can pretty much take any repressive measures that you want in the occupied West Bank because, after all, you aren't really dealing with Palestinians at all, but rather with the true Nazis. And how would any Jew respond when faced with a real live Nazi? This kind of rewriting of history, worthy of the Ministry of Truth, is not limited to Netanyahu. Not by a long shot. Would be Presidential candidate Mike Huckabee in February of this year announced that there never was such a thing as the "Palestinian people". The idea that they have a long history, dating back hundreds or thousands of years, is not true. According to Huckabee, the so-called "Palestinians" never actually existed. And since they never actually existed, clearly they don't exist now either. As O'Brien would say to Smith, "sometimes 2+2 equals 5." The manipulation of history is not limited to the Israeli/Palestinian issue. Controlling the past is the key to owning the future. Ask Jeb Bush. His brother "kept us safe," despite the worst attack on American soil since Pearl Harbor happening on his watch. Saddam Hussein was in possession of Weapons of Mass Destruction, which he clearly was not. The Middle East is better off post America's invasion of Iraq than before. 2+2=5, if the Party says it does. The fact is that Hitler was wildly popular with Germans. Carson should read Hitler's Willing Executioners: Ordinary Germans and the Holocaust by Daniel Jonah Goldhagen. That Hitler was democratically elected to head a coalition government, making him about as valid as David Cameron during his first term; any sense of historical fact is to Ben Carson, immaterial. He has created his own narrative of history; one that fits of larger narrative of how the world should be, and would be in a Carson administration. This is not to say that history does not matter. On the contrary, to Carson, to Netanyahu, to Bush and to many other politicians, history does indeed matter. Their history. History as they would have it seen. An educated public should be able to discredit this kind of re-invention of history easily, if we had an educated public. Increasingly, we don't. The teaching of history seems to be going the way of Latin and Greek in public education. The 2010 gold standard of testing, the National Assessment of Educational Progress showed that only 13 percent of the nation's high school seniors showed proficiency in their knowledge of American history, and only 18 percent of eighth grades and 22 percent of fourth graders scoring as well. The History Channel is replete with Pawn Stars, Swamp People and Ice Road Truckers. Well, they rate. It's a business. When I taught at both Columbia University and NYU, (no slouch schools), I was astonished at how many of my students had almost no grasp of history at all. Many could barely differentiate between Martin Luther and Martin Luther King. When asked the date of the Civil War, many could not place it within 50 years. Yet they did not care. "If we have to know, we can Google it," they would say. The thing about learning from the Internet is that there is no filter for truth and fiction. It's a pretty mixed bag. You can learn pretty much everything and nothing all at once. Winston Smith's job at The Ministry of Truth was to constantly rewrite the archives of newspapers and magazines to make them conform to the most recent true history. Today, we don't need Ministries shoving history down the memory hole, and revisionist histories inflicted on us by jackbooted thugs stamping on our faces. Nope. We erase history all on our own.